Welcome to Day 9 of the Fourth Annual 12 Days of Christmas Series. Today, it’s all about holiday gift wrapping and I’m sharing a few coastal gift wrapping ideas! I’ve teamed up with 50+ bloggers to bring you DIY Ideas and Recipes to make your holiday season merrier. There are 12 different posts in the series and we have spread them out over a four week period with three posts per week. Now is the time to subscribe! GO HERE for the complete list of Dates, Topics, and list of hosts. 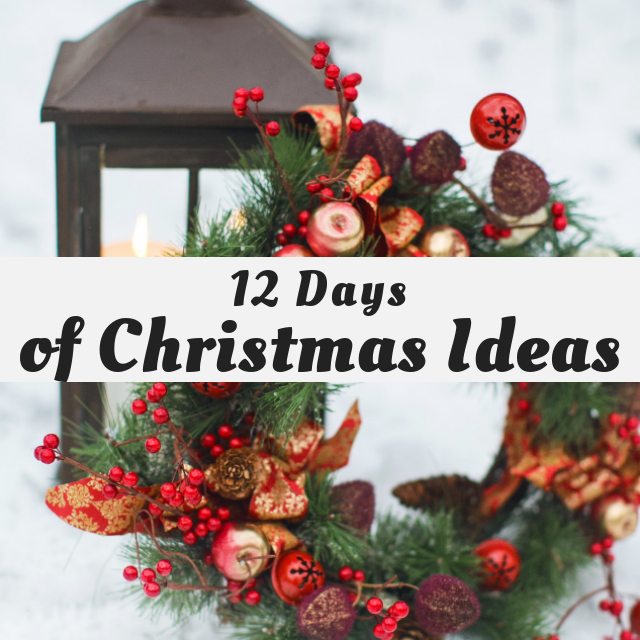 In addition, find a collection of the most popular holiday ideas including ornaments, games, recipes and more from all 50 plus talented bloggers! For the past several years, our tree has always had traditional Christmas colors of reds, whites, and golds. This year, I changed things up and created a Tropical Ocean Christmas Tree with coral, blue, white, and silver. I love our new tree, but finding coordinating holiday gift wrap to match our tree at local stores is impossible. Fortunately, turning plain paper into custom coastal gift wrapping is super easy and only takes a few craft supplies! Since coastal things tend to be weathered and rough, I crushed and crinkled the paper before wrapping the gift. Because butcher paper can be thick, this also helps make it more pliable and easier to work with. Once the paper is crinkled, wrap the gift, using hot glue to seal the edges. Using hot glue makes for a clean look without any tape showing. Take two or three strands of raffia and wrap it horizontally around the box. Tie the ends into a knot at the front of the gift. Next, repeat this step with the raffia, but go vertically around the box. To finish, tie a bow. If needed, at a dot of hot glue under the bow to keep it in place. Optional – add a sea glass and seashell angel tag. Wrap the gift with plain butcher paper. Glue flat back glass marbles along the bottom of the gift. Then using a white paint or chalk pen, write a holiday greeting above the glass. Optional – use a sea themed stamp to add interest around the holiday greeting. Tip: If you don’t want to use glass marbles, just paint the bottom with blue acrylic paint. Wrap the gift in plain butcher paper. Using a white paint pen or chalk pen, draw rows of waves across the bottom. Tie twine around the present and tie in a bow. Glue on various seashells onto the bow and bow ends. Do you have a unique way to wrap gifts? Our family all loves the ocean and would love to receive packages done up like this! These all look great, Erlene and go beautifully with your coastal tree. I love the coastal stampers. I need to find some of those! As a landlocked dweller, I’ve been enjoying your coastal Christmas ideas for friends and family who are lucky enough to live near water. What fun nautical gift wrapping ideas! I think my favorite is that angel made from found beach materials. Those sea glass wings!